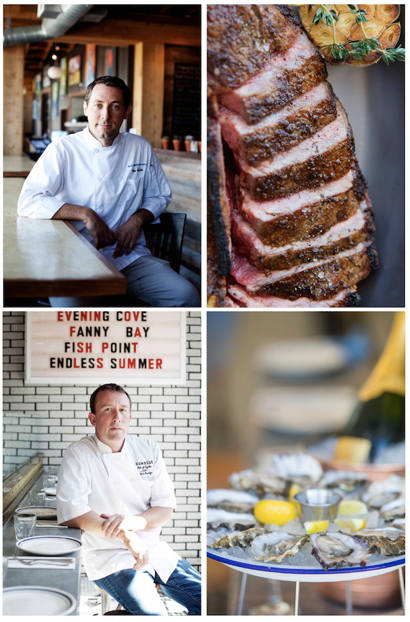 On Tuesday, May 5, two of San Diego’s leading chefs, Tim Kolanko (Stake Chophouse & Bar, Leroy’s Kitchen + Lounge) and Jason McLeod (Ironside Fish & Oyster, Soda & Swine), will come together to deliver the best of both land & sea with Kolanko’s final dinner of his “Cooking With Friends” chef collaboration series. This grand finale cocktail pairing menu suitably begins with McLeod’s favorite catch, the Ironside Select oyster - a custom oyster created from seed to delicious briny bivalve out of the Puget Sound specifically for McLeod - and continues with four decadent courses to include Chilled Poached Wild Coho Salmon, Confit Pork Shoulder, and more. Each of the five courses will pair alongside a cocktail intended to compliment the flavors of the dish.